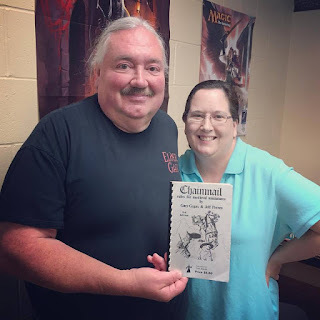 One of the many advantages of gaming with someone like Tom Wham is getting to ask him about his early game designs. 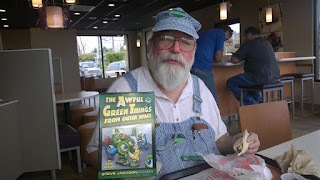 He has had so many published over his many years in the business, some in magazines, some in their own, some which began as the former then became the latter. One such game is The Awful Green Things From Outer Space (1979). 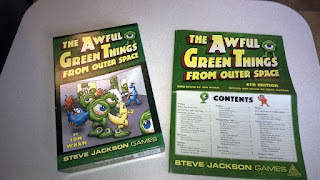 It has seen publication a half dozen times since first viewed in the pages of Dragon Magazine, mostly though Steve Jackson Games, who revised and published the 8th edition pictured below. 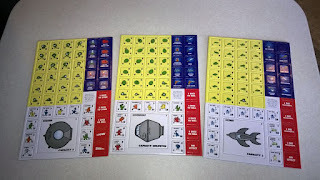 The Eighth Edition is finely produced with thick cardboard counters and a sturdy thick game board. 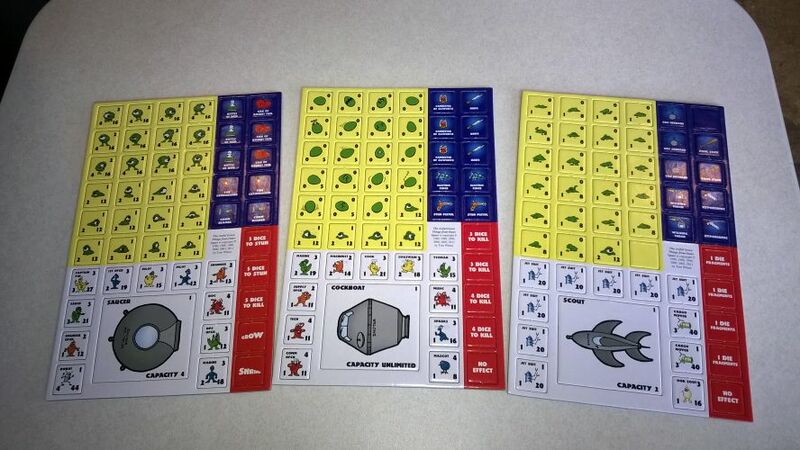 The rules are in full color (with cartoon) and very well done. 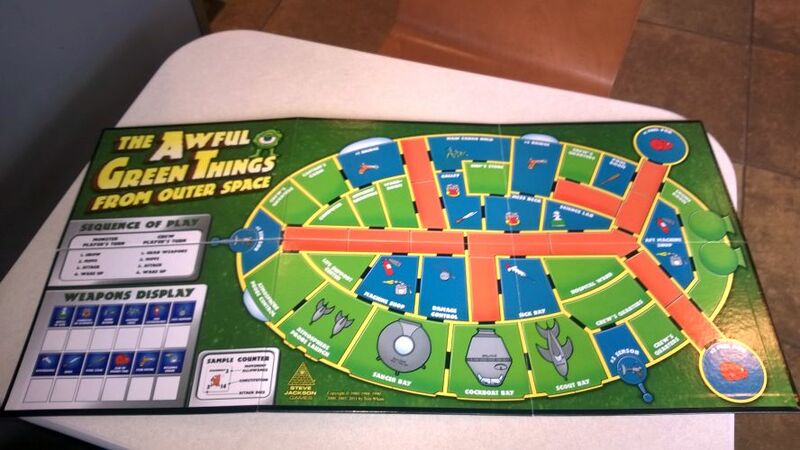 This humorously entertaining game pits two players against each other aboard a spaceship. One plays the ship's crew, trying to kill the evil and rapidly-multiplying aliens controlled by his opponent. And although the crew members have several weapons available to them, they don't know what effect those weapons will have until they try using them in combat against the Awful Green Things. Originally appeared in the Dragon magazine #28. 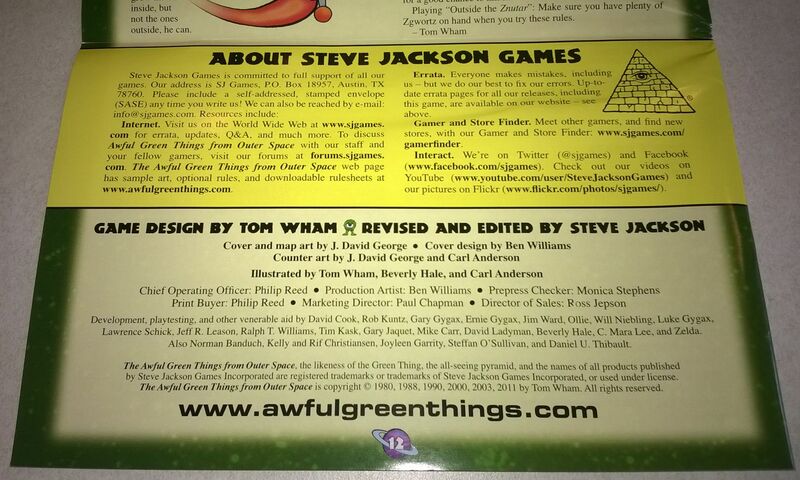 The Outside the Znutar expansion, published in Dragon magazine #40, is included in the box in the Steve Jackson Games versions of the game. 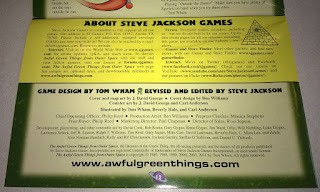 Tom has told me that one of the reasons SJG has published the game so often is that it is a personal favorite of Steve Jackson himself, and it's easy to see why. 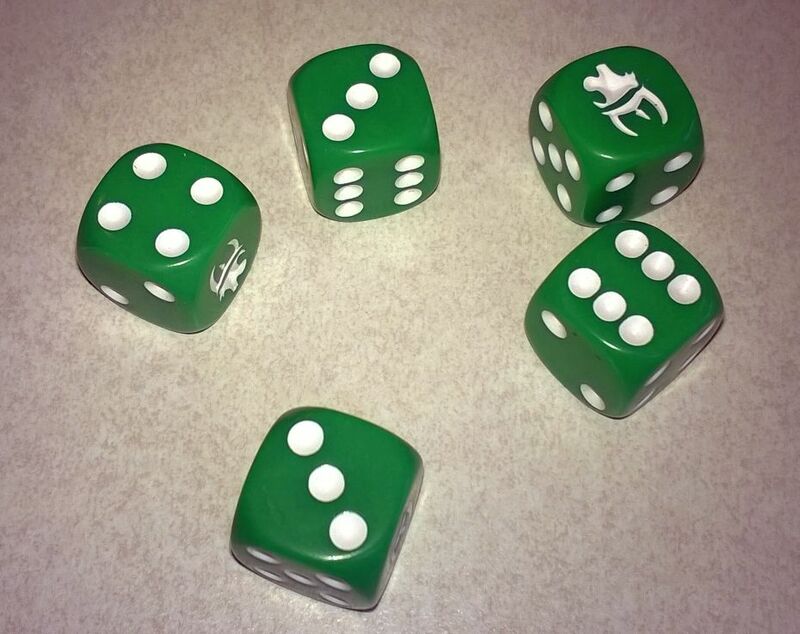 It's one of those lively, fun games that anyone would enjoy. 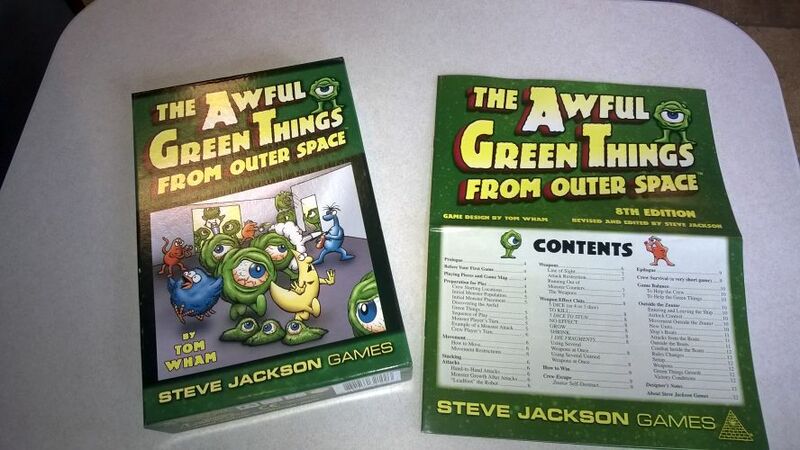 And SJG has done a wonderful job producing this 8th edition with top notch components, vibrant colors, and traditionally-flavored artwork where it needed some adjustments. Do yourself a favor and grab a modernized copy of this classic game, even if you have the original and one or two versions along the way. It's a beaut!